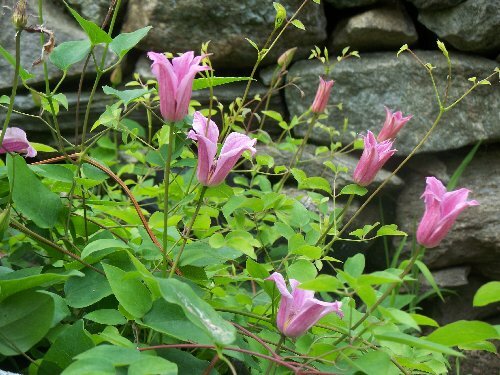 Duchess of Albany Clematis: benefit. You will love Duchess of Albany's tulip-shaped blooms, along with her hardiness and disease resistance. Ours is shown here, running across the ground before spilling over a stone wall. Grow the Duchess in full sun and really good drainage.